Relive Queen Elizabeth II's journey all the way back to her epic 1954 Royal Tour. 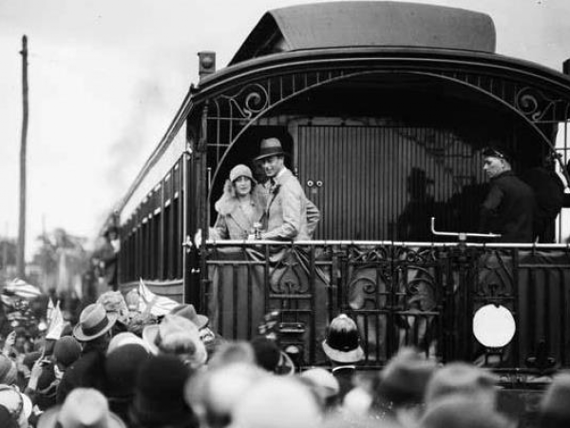 Back then the newly crowned Queen travelled around Victoria on board the Royal Train and now you have a chance to experience the luxury carriages. 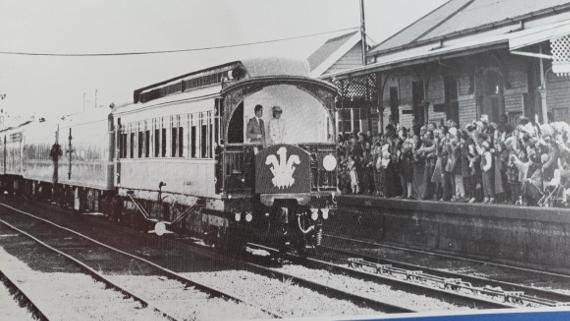 The Royal Train will consist of luxury carriages from the last century, two carriages built and used exclusively for Royal and Vice-Regal trains. The experience will take you from Castlemaine to Maldon in regal style. Don’t miss out on this once-in-a-life time royal opportunity. "Plus a glass of local Balgownie Estate sparkling cuvee and an Indulgent Fine Belgian Chocolate on one leg of your journey"
Return with Royal High Tea on one leg of your Journey. For a great day out………. Travel from Melbourne to Castlemaine and return by fast V/Line country services. Connections at Castlemaine to the Royal to Maldon.